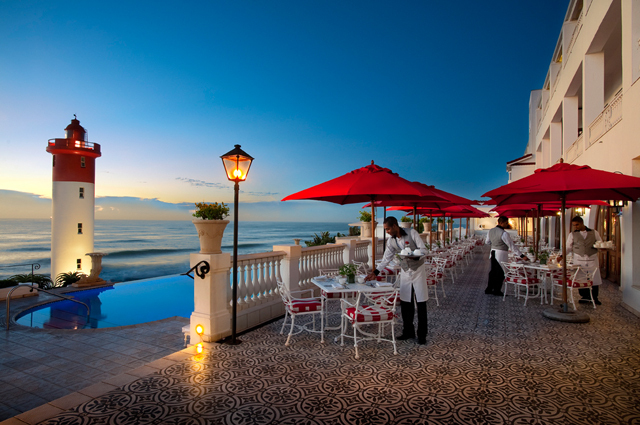 Standing majestically on Umhlanga’s prestigious beachfront, with sweeping views of the Indian Ocean and direct beach access, The Oyster Box is one of South Africa’s most distinguished hotels. Accommodation comprises 86 individually-decorated rooms, suites and exquisite villas, each equipped with the latest state-of-the-art amenities and facilities. A magnificent Presidential Suite, offers the ultimate in luxury. Renowned for generous hospitality, passionate service and excellent cuisine, guests have a choice of venues for wining, dining and relaxing. 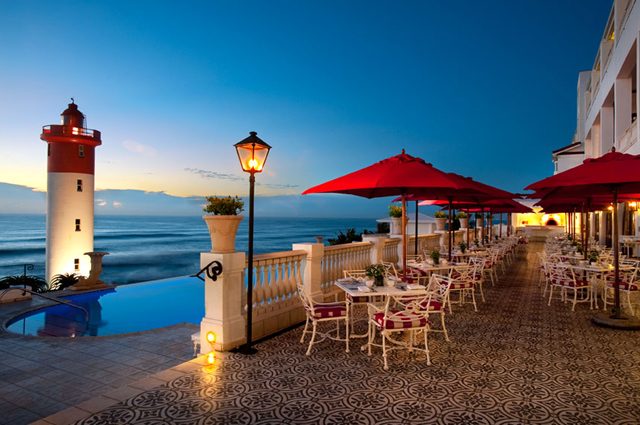 The Ocean Terrace, with gorgeous views across the Indian Ocean, serves a Bistro menu which includes freshly prepared pizzas from a wood-fire oven, the incredible and popular curry buffet and the finest selection of freshly caught seafood. Inspired by the hotel’s original colonial architecture, with chandeliers from the Savoy Hotel in London, the Palm Court serves a traditional High Tea daily with live piano accompaniment. The menu includes freshly prepared home-baked scones with cream and strawberries, cakes, finger sandwiches, pastries and savouries. For a more intimate dining experience the magnificent Chef’s Table in the sunken wine cellar, is ideal for hosting select private dinners for up to 10 guests. The Sommelier, will guide you through the extensive award-winning winelist of fine local and international vintages. The legendary Grill Room, offers a menu inspired by the combination of enduringly popular and signature dishes, as well as new creations and flavours garnered from around the world. The famous Dine & Dance in the Grill Room every Saturday evening is a winning combination of exceptional cuisine and dancing to the sounds of a live band. The stylish Oyster Bar is an essential pre-dinner or sundowner stop where you can enjoy chilled Champagne and freshly harvested oysters from the hotel’s own oyster beds, while listening to live music. 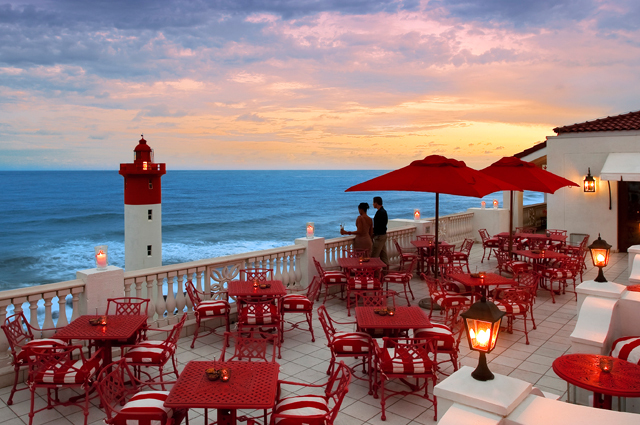 The Lighthouse Bar is the hottest meeting spot in Durban offering breathtaking views over the Indian Ocean as well as an informal social menu. Reflecting and celebrating the intricate tapestry of KwaZulu-Natal’s rich heritage and offering all of the amenities expected of a wellness facility of this calibre, The Spa at The Oyster Box ensures the highest level of personal care by dedicated, trained staff equipped to deliver the highest levels of spa therapy and pampering. With six modern treatment rooms, a hydrotherapy bath, grooming lounge, plunge pool, state-of-the-art private fitness club, infinity pool with garden views and a post-treatment tranquillity lounge, guests are indulged in every way to make them feel celebrated and sensational. 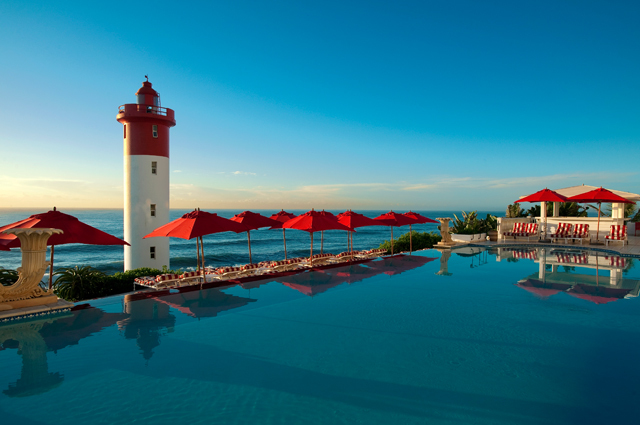 In addition, The Spa at The Oyster Box also houses South Africa’s only Hammam, an experience as special as it is healing. The hotel’s outstanding range of venues makes it a premiere wedding and honeymoon destination, as well as being a sought-after venue for conferences, workshops, the corporate sector and business travellers. An in-house 24-seater cinema shows classic and current releases. A business centre with complimentary Wi-Fi and high-speed Internet access, valet and secure parking are available to guests. 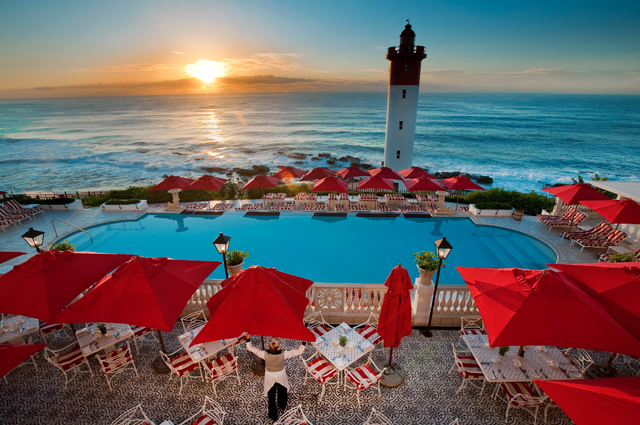 Time spent at The Oyster Box will leave you with magical memories to last a lifetime. Member of the Red Carnation Hotel Collection.